Ireland's Conor McGregor confirmed his status as one of the most marketable figures in mixed martial arts after signing a deal with leading sports goods manufacturer, Reebok. The Notorious confirmed the deal via his Twitter account with the message: "Congratulations to @Reebok on netting the biggest signature in the game." Reebok already have women's bantamweight champion Ronda Rousey, UFC lightweight champion Anthony Pettis, light heavyweight champion Jon Jones, and Johny Hendricks in their ranks. "Conor's hard work, determination and confidence have gotten him to where he is today," Reebok Brand President Matt O'Toole said in a press release. "His passion and his commitment to continual self-improvement are a true reflection of the Reebok brand." 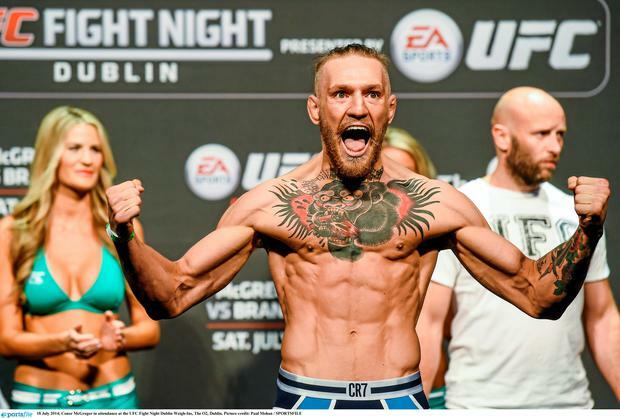 McGregor headlines this weekend's UFC Fight Night 59 in Boston when he takes on Dennis Siver in the Octagon.